December 4th is National Cookie Day, and you know cookies are what we do best here at Kathey Jo’s Kitchen! My name is Kathey Raskin, and I’m a cookie addict. I’ll admit, you will find cookies in the oven in my Las Vegas kitchen at least once a week. This year is an unusually busy one for my household, and I’m pressed for time. I know most of you are too, so I thought this week I’d share some of my favorite YouTube recipe tutorials for cookies you can make in a hurry. Do you have a favorite quick and easy cookie recipe? Let us know in the comments! It’s the perfect time of year for these easy sugar cookies from Chowhound. This video features THREE three-ingredient cookie recipes. Thanks Gemma’s Bigger Bolder Baking! Three-ingredient peanut butter cookies – what could be simpler? You’ll love this simple recipe from the OnePotChefShow! 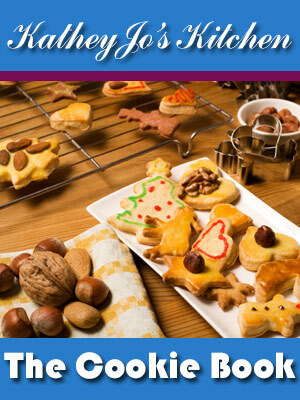 Looking for more delicious cookie recipes? 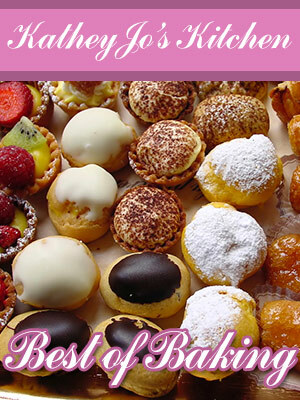 Buy my cooking ebooks The Cookie Book and Best of Baking.